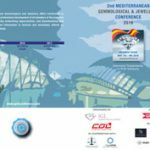 Proceedings 2018 – Mediterranean Gem and Jewellery Conference – Budva, Montenegro – Branko Gems – Gemmological Research Industries Inc.
Dr. Thomas Hainschwang (GGTL, Lichtenstein): Colour origin of untreated and treated natural and synthetic diamonds. Roman Serov (Octonus / GemCentre, Russia): Impact of fluorescence on diamond appearance. Dr. Phillip Martineau (De Beers Research, UK): CVD synthetic diamonds and their detection. 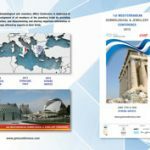 Branko Deljanin (CGL-GRS, Canada), George Spyromilios (IGL, Greece): Identification of melee to large synthetic HPHT-grown diamonds with standard instruments. Ans Anthonis – HRD, Belgium Red carpet for blue fluorescent diamonds? The relationship between blue fluorescence and colour grade. 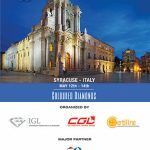 Yaakov Almor (M Direct Business, Israel): Present and future of synthetic diamond jewellery – ethical challenges. Bear Williams (Stone Group Lab, USA): Insights into gemological observations and techniques. Branko Deljanin (CGL-GRS, Canada): Gem lab notes from Canada. Martin Steinbach (MPS, Germany): Asterism of gems. Gail Brett Lavine (NAJA, USA): Tracking gems at auctions.